Prospect Heights, NY (February 10, 2019) – Around 5 a.m. this morning, February 10, a three-vehicle accident took place that led to multiple parties receiving a variety of injuries. Three vehicles somehow collided with one another, one of which police said was a plated Uber vehicle. One of the cars overturned in the midst of the accident. Some of those involved were treated and transported to the hospital by ambulance, but all of the parties are thankfully expected to recover. Luckily, nobody had been trapped in the rolled over vehicle and all of those inside were able to safely get out. Police are still searching for information on how the accident took place. Police respond to hundreds of thousands of accidents every year in New York, a wide variety of these that end in injuries to those involved. Every single day, about 48 people will be hospitalized due to the negligence of others in serious accidents and others will lose their lives. We wish to extend a helping hand to you if you have received injuries in an accident and hope that you will be able to recover. 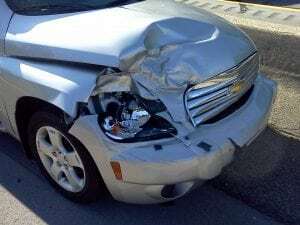 This might be one of the most devastating things you have ever gone through, but you are not alone with car accident attorneys on your side. Our accident attorneys at Hach & Rose have fully dedicated themselves to handling a wide variety of cases and want to help those who are unable to help themselves during this difficult and life-changing experience. We understand that these accidents can be quite overwhelming for you, with bills piling up and pain that you could have never imagined. We would like to speak with you immediately about your case, so please do not hesitate to contact us at 212-779-0057 for more information.